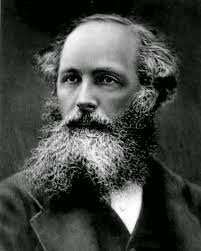 Biography of James Clerk Maxwell (13 June 1831- 5 November 1879) - Robolab Technologies Pvt. Ltd. The pioneer of electromagnetism and contributor to the kinetic theory of gases James Clerk Maxwell, was born on November 13, 1831 at Edinburgh, Scotland. He was from a rich, famous and landowning family. This family had many a famous and promising personalities who brought laurels and honour to it. James spent his childhood in the rural areas. His father had studied law but never practiced. He was interested in educating his son and maintaining the family property. Little James had the hobby of dismantling mechanical toys and understanding their mechanism carefully. He would open up newly acquired toys and fix them again. He had a very curious and sharp mind. He lost his mother when he was 9 years. His father took up the twin responsibilities of a mother and father in bringing up James then. At ten, James was admitted at the Edinburgh Academy. His father brought him specially stitched clothes and shoes. Other students at the academy would laugh and poke fun at him because of his old-fashioned dress. But soon the students began respecting him for his intelligence and knowledge. They found him very moody. At 16, Maxwell entered the Edinburgh University. His excellence in mathematics astonished everyone. He began experimenting in science. He also wrote poetry, but it was not of high standard. Yet, he continued writing poems all his life. In 1850, he entered Combridge University for higher studies in mathematics. He topped at the all examinations in mathematics. Mathematics competition was held every year for clever students. To ensure success at the examinations, he was put under William Hopkins’ guidance. Maxwell stood second at the examinations. In 1854, Maxwell graduated from college in mathematics. For higher studies, he joined the Trinity College, Cambridge. Here he conducted many experiments on colors and their mixtures. He created a colorful top indication primary colours – red, green and blue and other colours by mixing them in proper proportions. He even published a paper on this. The colours we see on our Television sets are based on the principles put forth by Maxwell. He was awarded the Rumsford Medal for this. Around this time, his father was not keeping well. He planned to go to his father and take his care, returning from Edinburgh. Meanwhile, he got appointed as a professor at Marischal College, Aberdeen. But before he could join the college, his dear father died. After some time, he met the daughter of the college principal and soon married her. Now, Maxwell focused his attention on research and experimentation. He had researched on the rings of Saturn and had developed certain mathematical equations with reference to them. Even today, scientists follow the mathematical model he had developed then. The researches and findings of Maxwell in the fields of electricity and magnetism are considered to be path breaking and original. Maxwell was inspired and influenced by Michael Faraday’s electromagnetic theory. He arrived at the principles of electromagnetic theory. He arrived at the principles of electromagnetic lines of force always exist in a closed circuit and are circular in form without and end. Changes in the magnetic field create an electric field and changes in the electric field create a magnetic field. This way, magnetic field model was crystallised in Maxwell’s mind. Earlier, Faraday had used the terms, lines of force and tube of force. He explained the changes taking place when a magnet is placed close to it. Maxwell went a step further to develop Faraday’s ideas and put forward the unified theory of electromagnetism. Much later, his prediction of electromagnetic waves was verified by Heinrich Hertz. To study further on electromagnetic forces and magnetic force fields, he left his job for a short time and proceeded to stay at his estate in Glinar. He wrote many books on heat, mathematics, color vision and physical sciences. During this period, he came close to his neighbors and socialized with them. He would even play with children from the neighborhood. Maxwell also did monumental work in developing the kinetic theory of gases. He, together with his wife, conducted some experimental work on viscosity of gases. Under pressure from the public, the Cambridge University decided to create a post of professor in the experimental physical sciences department to teach heat, electricity and magnetism. The Duke of Devonshire, Chancellor of the University, who was directly related to Henry Cavendish, provided necessary funds for establishing Canvendish Laboratory. Maxwell was requested to head the new laboratory. Maxwell was to direct research activities was also empowered to buy new equipment for the laboratory. Over and above the activities mentioned earlier, he would also write on diverse subjects. He would edit the writings of Henry Cavendish to ensure that the general public would be informed of his works. This way he would keep himself busy. He dedicated his life to science in this manner. During the last two years of his life, he took care of ailing wife. He was also aware that he was suffering from cancer, but did not let anyone know about it. Finally, on November 5, 1879 he died at the age of 48. World was unfortunately denied further benefits of researches and experiments of this esteemed scientist. Ten years later, Hertz invented the radio transmitter and receiver, thus validating the mathematical theory of Maxwell. Maxwell’s electromagnetic radiation theory played an important role in the understanding and making of Randar and microwaves. In reality Maxwell’s theory contributed in clearly understanding the propagation of heat and light waves, radio waves, X-rays, gamma rays or any other type of electromagnetic radiation.